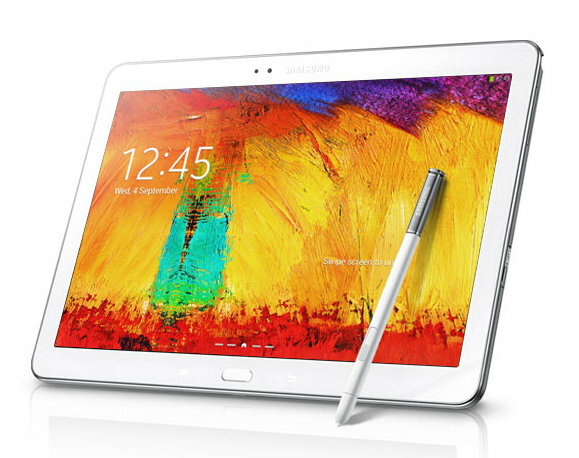 My son just bought a good used Samsung Galaxy Note 10.1 (2014 edition) tablet (model SM-P600). Since it was already out of warranty, our first order of business was to root it so we could get good backups. I've rooted several Samsung devices in our family already, so the process was pretty straightforward. Here's how it works. First off, remember that rooting your phone will void your warranty. Our tablet was out of warranty when we got it, so this wasn't an issue for us. I found some great instructions online at the following two links. The first one is more verbose, which is probably good if you're unfamiliar with the process. These instructions work for a Samsung Galaxy Note 10.1 (2014) running Android 4.4.2 (KitKat). Turn on USB debugging on the tablet. Click "Settings" / "About device" and click "Build number" seven times. Back up to the new "Settings" / "Developer options" menu and enable "USB Debugging." Ensure that only the "Auto Reboot" and "F. Reset Time" boxes are checked in Odin. Click "Start" in Odin. The process should take less than a minute. The tablet will reboot itself when it's done. After rebooting, you'll be asked whether to disable Knox. Say yes. That's it! 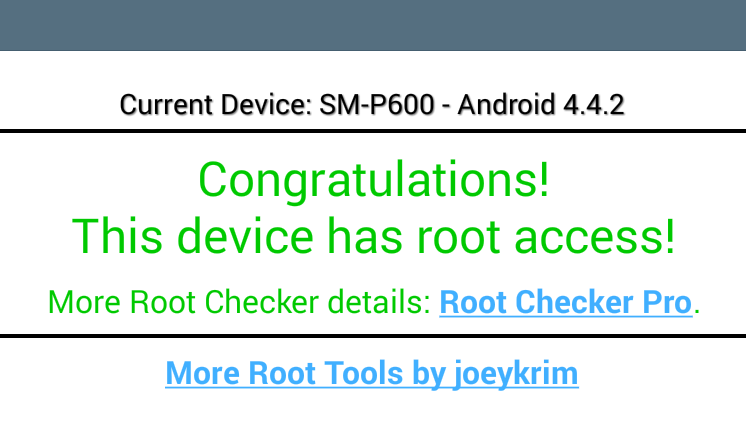 To verify that the tablet is successfully rooted, you can download one of several Root Checker programs from the play store. Unlike the process for rooting Nexus devices, this process doesn't appear to affect any of the existing configuration on the Samsung Galaxy Note 10.1. Your warranty will be voided, of course. We also got a notice when I next checked for software updates that claimed "the device has been modified; software updates are not available." I'm not sure if that means we're forever unable to update the firmware or not. It may just be a matter of unrooting the device before we try to install any available OS updates. Time will tell. This really is a sweet tablet. Having an S-Pen available on a screen that size is incredible. Samsung has done a great job creating a windowing environment not unlike a traditional desktop computer. I think it's going to be really fun having this thing. If you've got any questions about the process or would like to share any issues you encountered, please speak up in the comments below.